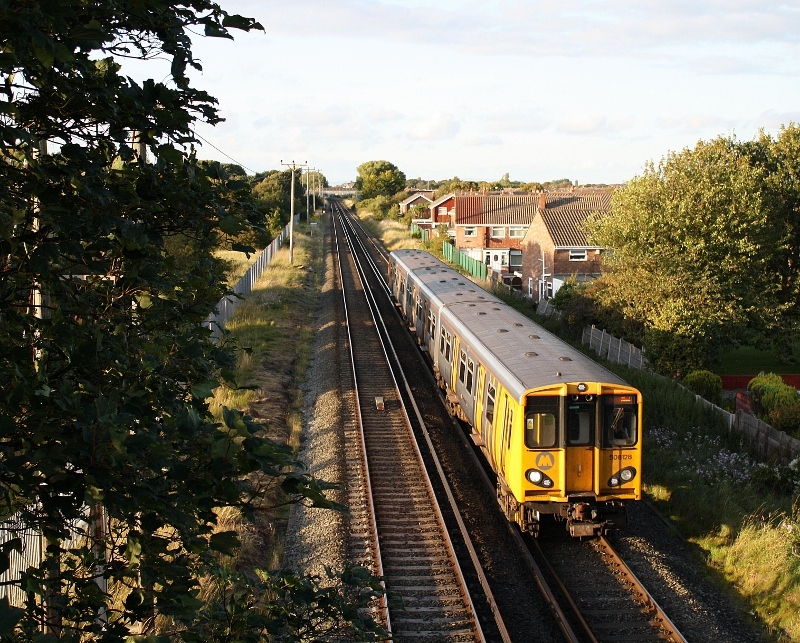 Martyn Hilbert's Railway Photography - Merseyrail Electrics - 508128 at Ainsdale. 508128 is about to pass under the A565 Coastal Road on the southern outskirts of Ainsdale as it speeds along with a service from Southport to Hunts Cross on the 9th August 2011. The Coastal Road between Southport and Woodvale is built on the formation of the old Cheshire Lines route that ran from Southport Lord Street, which closed in 1952.